Funkadelic was George Clinton’s chance to get serious. Unlike Parliament, Funkadelic exhibited topical lyrics and an almost heavy-metal edge, one that included screeching, distorted guitar and unsettling musical turns. This 1971 album, Funkadelic’s second release, catches the ensemble in its early prime. The Hendrix-inspired dramatics come courtesy of Eddie Hazel, while Bernie Worrell admirably handles the keyboard chores. Clinton’s humorous, sober lyrics address poverty, race relations, and drug use. Musically, the band covers lots of ground: Everything from smooth soul and heavy rock to abstract psychedelia and straight-on funky grooves has a place, and these jarring shifts are what make the album a revolutionary work. Personnel: Eddie Hazel , Garry Shider, Tawl Ross (vocals, guitar); Bernie Worrell (vocals, keyboards); Clarence “Fuzzy” Haskins (vocals, drums); George Clinton , Grady Thomas, Raymond Davis, Calvin Simon (vocals); Billy “Bass” Nelson (bass instrument); Ramon Tiki Fulwood (drums). Born and raised in Berlin as the daughter of a German mother and a South African father, Joy Maureen Denalane has sung lyrics in various languages, including English and German as well as the South African languages Xhosa and Shangan. Although her stylish vocals and sounds are clearly influenced by artists ranging from Letta Mbulu to Lauryn Hill, her inspiration to do music, period, originates from hip-hop, especially that of female firebrands Salt-N-Pepa and Roxanne Shanté, which began seeping into Germany in the late ’80s. “MAUREEN” is a skilful blend of all the elements that made Joy”s previous two albums (“Mamani” and “Born & Raised”) so unique: clear, direct and yet complex lyrics which strike the balance between being lyrical on one hand and effortlessly cool on the other, strong tracks and outstanding production which lies somewhere between modern soul, powerful funk and impressive hip-hop beats. Hear that sound? Raw, loose and nasty funk, recorded straight to analog tape. It’s just like the old days, but so new it’s sporting a badass teenage moustache. Now that Melbourne funk sensation The Cactus Channel have graduated high school, they’re taking their own brand of high-octane, instrumental car chase funk and smooth soundtrack soul to the people with their debut, Haptics. On the road and on the airwaves, 2012 is the year The Cactus Channel come of age. Personnel: Donald Byrd (vocals, trumpet, electric trumpet, flugelhorn); Fonce Mizell (vocals, trumpet); Freddie Perren (vocals, electric piano, synthesizer); Larry Mizell (vocals); David T. Walker, Dean Parks, Barney Perry (guitar); Allan Curtis Barnes (flute, oboe, saxophone); Roger Glenn (flute, saxophone); Joe Sample (piano, electric piano); Kevin Toney (piano); Chuck Rainey, Wilton Felder (electric bass); Harvey Mason, Sr. , Keith Killgo (drums); Perk Jacobs, Stephanie Spruill, Bobbye Hall, Bobbye Porter (percussion). 07. Where Are We Going? 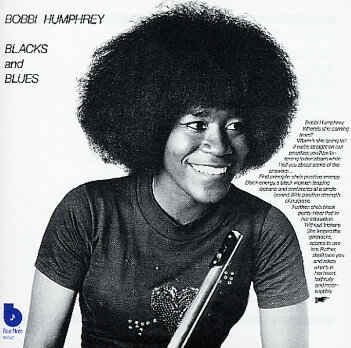 Peronnel: Bobbi Humphrey (flute, vocals); Chuck Rainey, Ron Brown (bass); Fonce Mizell (clavinet, trumpet, backing vocals); King Erison (congas); Harvey Mason (drums); Jerry Peters (electric piano); David T. Walker, John Rowin (guitar); Stephanie Spruill (percussion); Fred Perren (synthesizer, backing vocals); Larry Mizel (backing vocals).